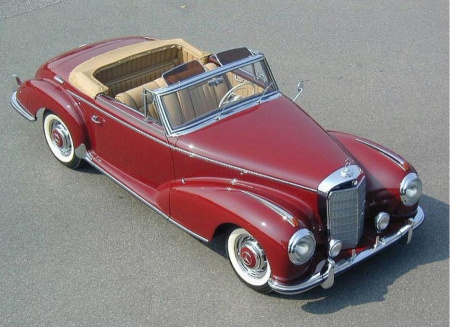 Not many people had the chance to sit inside the Mercedes 300 S and even fewer actually drove this car. 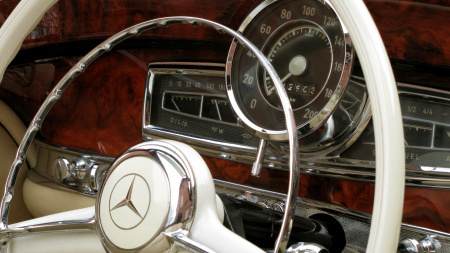 Like in the sedan, you sit behind a big steering wheel and look at an array of chromed knobs at the lower left side of your beautiful, solid wooden dashboard. You hold your breath. Everything around you has been done by craftsmen more than fifty years ago. And if something had been redone more recently, it had been executed by people with the same understanding of the value of perfection. Everything oozes top quality. You take a second look at those chromed knobs. Each and every one of them looks like a carefully crafted masterpiece. You hardly dare to touch them, let alone turn or pull or push them. You think of putting on gloves, before you reach for them with your bare fingers. Although you tell yourself that these are just ordinary knobs, you will also find in the sedan and even the 220S, it is the surrounding that intimidates you. While looking at them, you start to realize that unlike pushbuttons in modern cars, they have no indication of their function whatsoever. To make matters worse, some of the knobs have double functions, they could be turned in various stages to activate the headlights and they could be pulled at the same time in case you needed the fog lights. 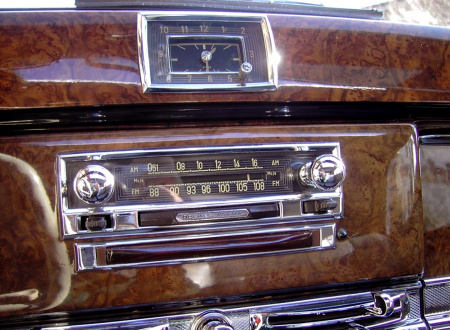 If you start counting, you have around 16 knobs, control lights, switches and handles to remember, which were distributed at or underneath the dashboard. So you better memorize what they are for or make sure that you do not lose the manual. Once you have settled in properly, have marveled at the quality that surrounds you and have given your mind proper time to adjust to the fact that you are sitting in a car that represents the value of a fairly sized house, you realize that driving the 300S Roadster is something you will have difficulties to express. You just lack the words to describe your emotion. It is something that few people can comprehend. It is something that you need to work on mentally first, before you can absorb it physically. 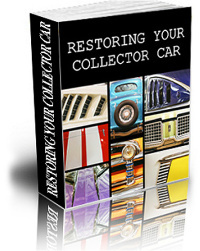 Once you have accomplished this, you fiddle the key out of your pocket and put it into the ignition. It looks somewhat bland, too ordinary for this surrounding. Just like any other car key. It should have been designed not with its mere function, but with the surrounding in mind, its possession gives you the privilege to enter. 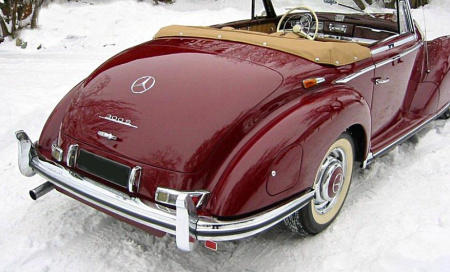 If I would own this car, I would head straight for the jewelers shop and had its top part re-designed. You turn on the ignition. You have been advised to pump the accelerator just once and leave it alone, when you start the car. Then you push this small chromed button and after a little bit of whining from the starter motor, the engine comes to life. It settles in with a comfortable low level growl. 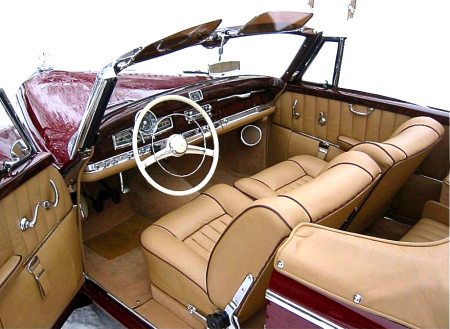 You lean back in the wide beige leather seat and listen to the sound. You gently touch the accelerator and the engine responds swiftly. You do it again, this time with more verve. The engine responds again. This time more accentuated. And then you feel it, the satisfaction you can only get from a timeless piece of classic. It does not have to be a car. It can be listening to the Symphony of the New World by Anton Dvorak, it can be flying at 4,000 feet in a sailplane, it can be anything. But it has to be something extra-ordinary, unusual. Something that will not happen every day. And it has to be in YOU. It is not what other people tell you. It will not work that way. You need to be able to absorb, to feel it yourself. You should realize that you are at this very moment in complete harmony with yourself and your surroundings. 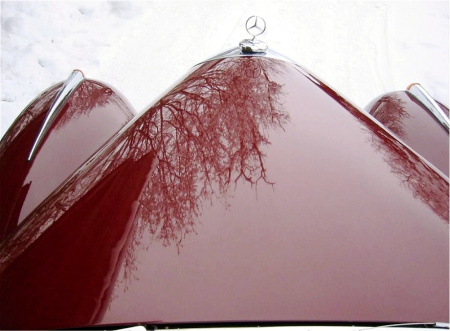 This Mercedes 300 S gives me that kind of feeling. Ok, back to the real world again. You press the clutch and shift into reverse. It is surprisingly easy for such an old car. As I said before: craftsmanship at its finest. You release the clutch and slowly the car starts to move. Do not touch the accelerator yet, just let you get used to the car first. Outside the garage, you plan to turn. Nope, no such modern amenities as power steering, so you better use your muscles to indicate to the car, where you plan to go. Do not complain about it, it is just a minor nuisance and you will get used to it. While there might be a tiny chance to get away in other cars of the 1950s somewhat unnoticed by the innocent bystander, there is no such thing when motoring in the 300S Roadster. People, who see you driving the car, know instantly that you are not someone, who shivers at the shallow side of the financial pool. It helps that you look mature, so you will be socially accepted driving the 300S. Do not laugh, I mean it. Because you look a bit ridiculous driving this car, if you are anything below 40 years of age. It would only tell the audience that you drive daddy’s car. At my slightly advanced age I am happy to acknowledge that when driving the 300S, grey hair does help! Where have you heard such a statement lately? For years we keep on telling ourselves that age does not matter. Here I am telling you, that we are wrong. In this particular case, age does matter! 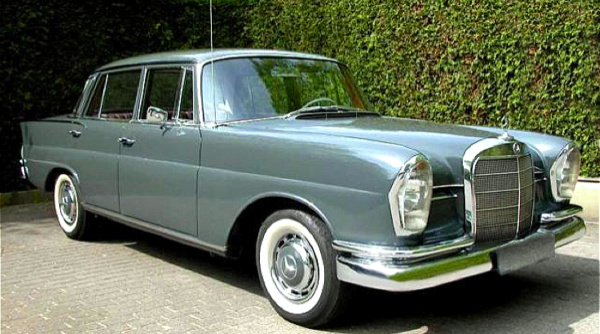 Driving the Mercedes 300 S on public roads means that you have to stop occasionally at traffic lights. As I said before, this will not go by unnoticed. Men will look at the car in admiration. Of course they will take a look at you too, but the car is more important. Women will only look at the car for a short second, and then they will focus on YOU! And I mean women of all ages! Even if they have no clue about cars, they know that this car is bloody expensive. Again, the 300S is not just a car, it is a statement. Are you mature enough to handle that? If you answer that question affirmative, it shows that you do not need a sports car to be accepted in the circle of the so-called “desirables”. 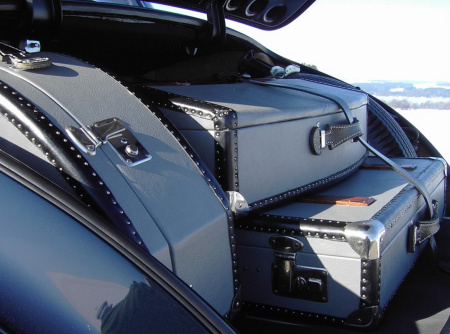 Ever tried to get into a Ferrari or Jaguar E-Type (no, not the open ones, I mean the coupes or convertibles with the top closed!) at the age of 60 with dignity? Or even worse, getting out of them? 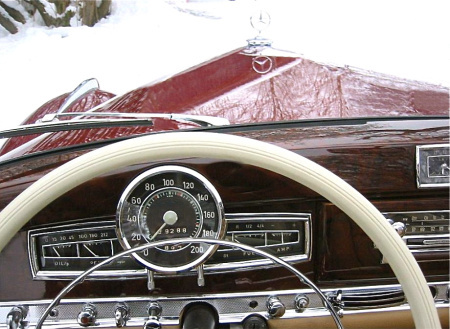 In a Mercedes 300 S this is not a problem. We slide in and out of it with ease, maybe even with a degree of elegance. Women like that. They have a keen sense of what is fake. In a 300S we also realize that speed is not of essence anymore. We are beyond speeding tickets to prove ourselves. The car is actually a perfect training tool to learn to accept the fact that we do not need not be 35 anymore, to be happy. I admit that it is a pretty expensive training tool, but it is a very effective one. If you own a 300S, it will not be your only car. It has been that case already, when the car was new. Most probably the other car(s) will be considerably faster. Without going now into possible philosophical implications, an interesting question could be, which car will give us more peace of mind. Driving a fast car excites, it even thrills to the point that one wakes up on a Sunday morning at 5am, takes it out and drives it to its limits on an almost empty autobahn. You can do that in Germany, unfortunately not in most other countries. As I said, it excites and thrills, but does it give peace of mind? I know that we would be happy having both, the thrill and the peace of mind. But at the end, if someone would ask me, which way to go if I only had a single option, I would choose the 300S over any Ferrari or Jaguar E-Type. Driving the 300S gives at least me plenty of peace of mind. It is like drinking a glass of well aged single malt or vintage Bordeaux and smoking a Cuban cigar (not together with the Bordeaux of course). It calms you down after a busy day. No need to prove yourself anymore, you have done that many times over already. So, if you do not have a 300S yet, you’d better hurry. They only built 760 in eight years. They were all built by hand, by specialists. 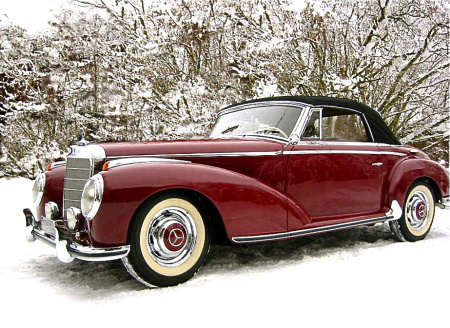 To be allowed at Daimler-Benz being part of the team that built the 300S in the 1950s, was not considered work, it was considered a privilege. Choose the open versions over the coupe. 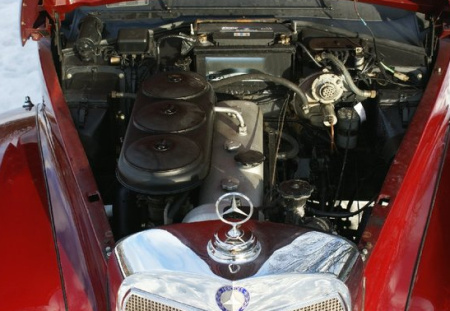 Of course there is nothing wrong with the coupe, it is a gorgeous car, but the open versions are a bit more desirable. Just imagine driving in late autumn along a winding country lane, top and windows down. Switch off the Becker radio and let the atmosphere around you slowly sink in. Calm down and inhale everything nature throws at you. It is free and it is better than drugs. Trust me. Are you ready? Bernard, I love what you are doing with your books. I am doing much the same thing with CreateSpace but would love to talk with you about how you are getting your eBooks to Kindle. Can you contact me directly at richtruesdell at gmail dot com? I’m betting that we can learn much from each other.